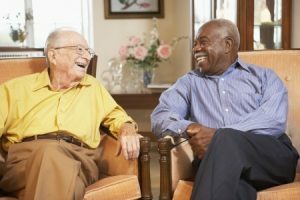 A large part of the appeal of moving to Rosewood Retirement Community of Chattanooga & Northwest Georgia is the opportunity to make new friends with fellow residents and our caring staff. The fun, active lifestyle seniors enjoy at Rosewood is far and away more enriching than the solitude of living in a private residence alone most of the time except when a family caregiver is able to stop by and check in on the senior. Our retirement should be about more than passing the hours with a television as our main source of companionship and interaction with the outside world. When a senior moves to a retirement community, there may be some apprehension about what to expect, but after speaking with Community Consultant Alison Beckham and visiting Rosewood, most seniors embrace what lies ahead – especially after they have a chance to speak with other residents and get a sense of how they will fit into the culture. We all seek to socialize with people of similar interests, values and backgrounds. Life Enrichment Director Cheyenne Stewart and the rest of our staff and management team work to provide opportunities for residents to get to know each other. We take residents on a lunch outing to a different restaurant once a week, and they say it is an outing they really look forward to. In February, we are going on a shopping trip to Hamrick’s, visiting the East Ridge Library, welcoming Pianist Ryan Stinson, and enjoying a Valentine’s Day Ball Family Night, among other activities. Plans are outlined on the website calendars and monthly newsletters so that everyone has plenty of notice and can look forward to participating. Moving to a new home can be a process filled with dread over downsizing and giving away things with sentimental value, but it helps knowing that the senior will have a new place where he or she can dive right in and assimilate into the community and feel more at home. One place filled with love and memories can be traded for another where the senior will feel as if they belong and experience compassion and fellowship. It’s not unusual for a senior transitioning to a new life situation to become emotional and grieve what they have left behind. Making new friends quickly helps them to feel as if they can share these feelings more easily. Current residents who have been through the same experience can provide much-needed social and emotional support so they are able to adjust more quickly. Existing residents will also be useful to share how things work around a retirement community to the new person learning the ropes. Social connections are vital to quality of life considerations. Growing one’s social circle is key to enjoying retirement life. Without this bonding, a senior can succumb to loneliness and depression. To make new friends more easily in Assisted Living, expert suggest that seniors dive right in to activities or hobbies that interest them. They should take the initiative to introduce themselves and have conversations about whatever topic is relevant to a situation. Existing friends can be one useful resource for finding new friends. Church is another institution that can help friend-building since the purpose is to unite people who share a faith in community. With a little help from our friends, we can transition to an assisted living community in positive ways that spark exciting new adventures. To learn more about joining our Rosewood family, call (706) 866-4443.